Earlier this week, I made a big pot of deer chili and a cake of cornbread to go with it. The chili was good but I only had one thing on my mind when I pulled that sizzlin' Lodge skillet from the oven - I was going to get to enjoy a big glass of cornbread and milk for a snack that evening. It is so good and can be a meal all by itself. In fact, I've enjoyed it for a meal countless times. You know those days when you're just a little hungry but a sandwich just ain't going to cut it? 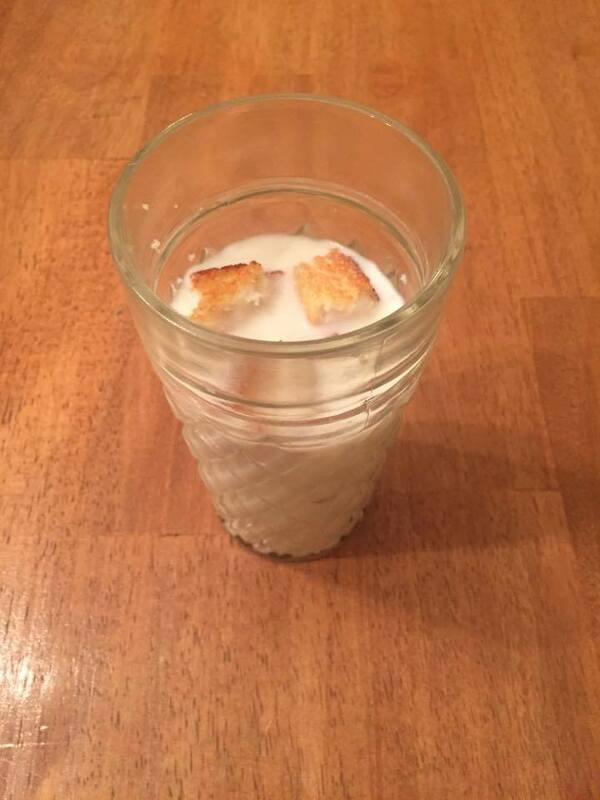 A glass full of crumbled up, warm cornbread with sweet milk poured over it...yeah, that'll hit the spot. This is something that has been enjoyed in Appalachia for generations. My Granny and Pa are the ones who introduced me to this delicious tradition. They usually used sweet milk (regular whole milk) but also enjoyed buttermilk. I've never been able to drink buttermilk so I always use sweet milk. "Give us this day our daily cornbread..." could be the standard grace for tables all around the mountain South." She is absolutely right. It is a regular item on the table throughout southern Appalachia. I'm so glad, aren't you?! Some people argue whether sugar should be included. Personally, I don't add sugar but I think it should be up to the cook...if you like it sweet, knock yourself out! I do have one rule that should never be broken when it comes to cornbread: You MUST bake it in a cast iron skillet and preferably, one made by Lodge. I prefer to use American made products and something that will last for a very long time. You get both of those things when you purchase and use Lodge brand products. Growing up, we ate cornbread with just about every meal. I never thought much about it until I went away to college. We had spaghetti in the cafeteria and I mentioned that I would like to have some cornbread to go with it. You would have thought that I had grown a second head! My college friends quickly informed me that my bread preference should be garlic bread not cornbread. Like I said, we ate cornbread with just about everything, including spaghetti.They didn't know how good of a thing they were missing. Are you a fan of cornbread and milk?